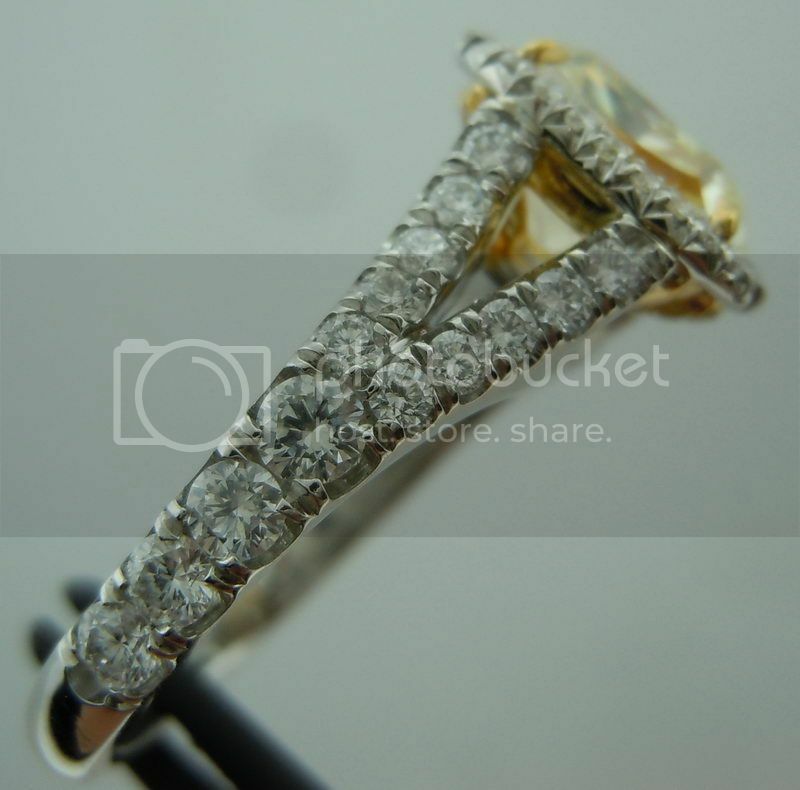 This item has a starting price of $7895 with diamonds purchased from Diamonds by Lauren. 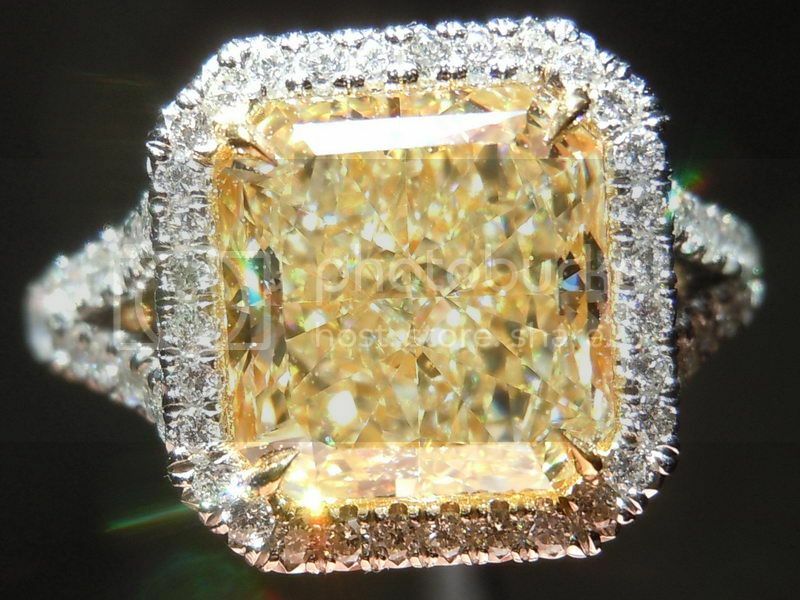 Here's a remarkable ring for important diamonds. 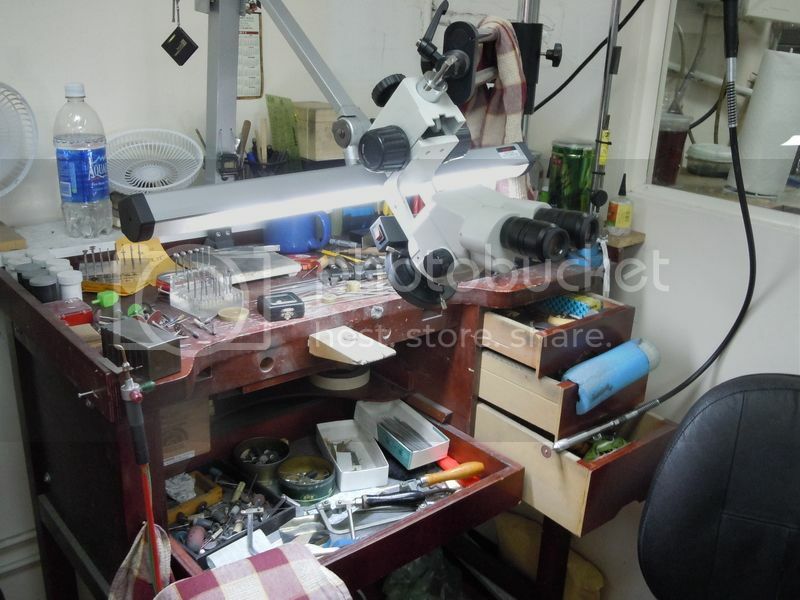 The detail of the design is lost on smaller stones. 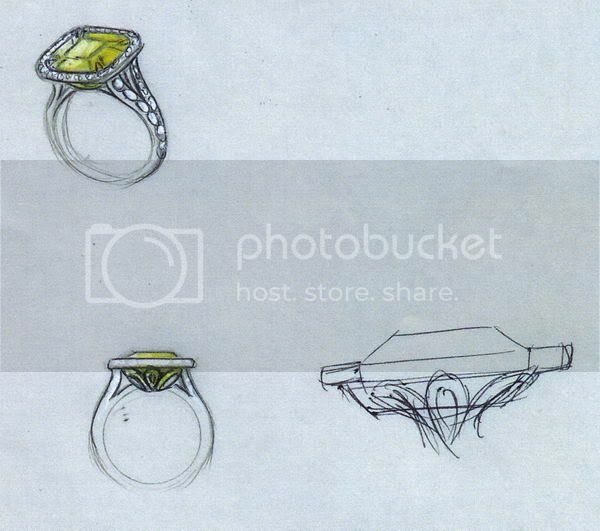 Each of these rings is an entirely new project, from a manufacturing standpoint. 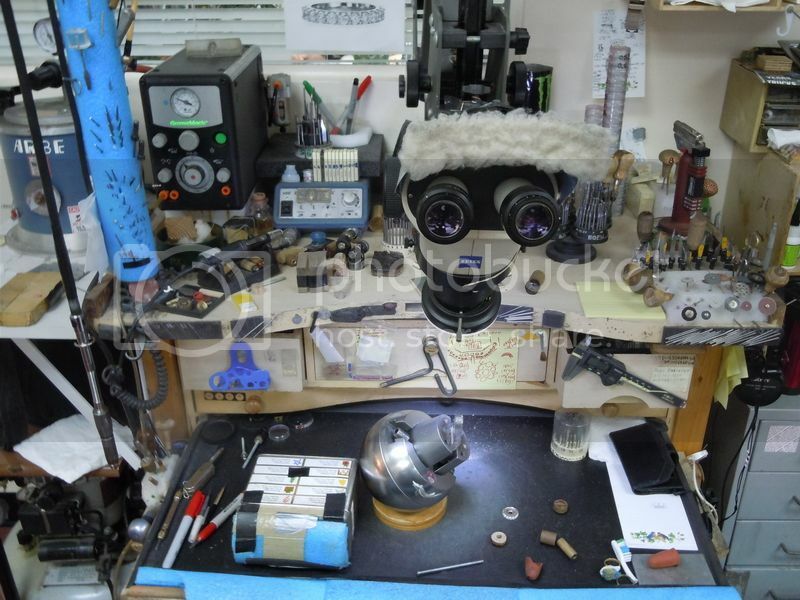 We know the design- but the parts for each one are totally unique as the are made around the center diamond. 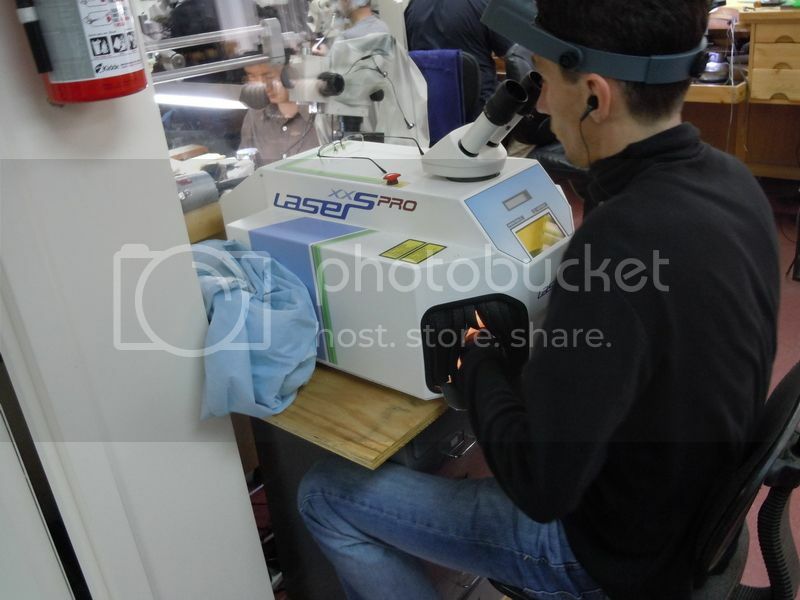 Precise fit is essential. These ultra close up photos don't lie- there's no gap, and no overlap. This equals a perfect fit. 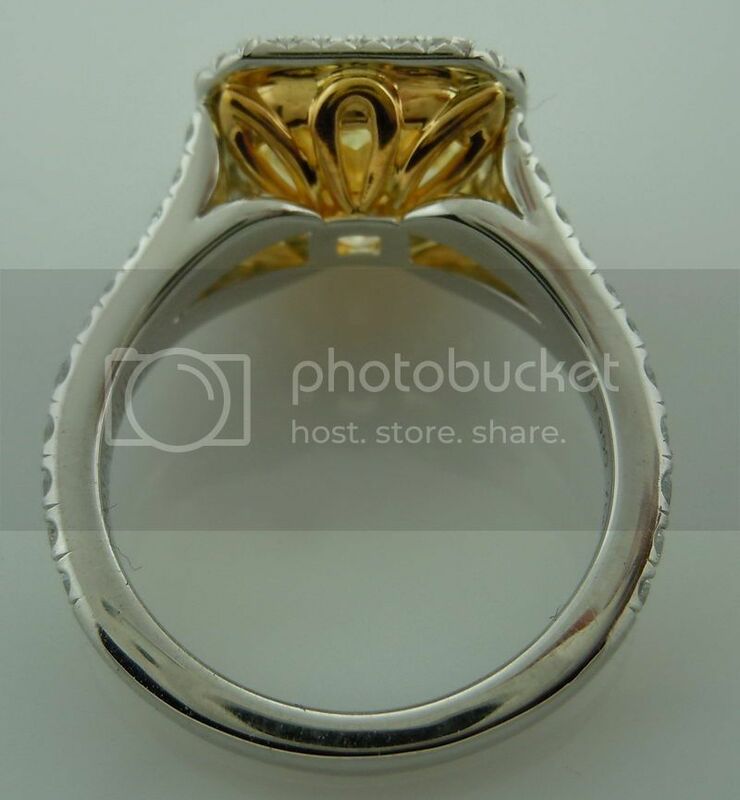 By no means is this an inexpensive alternative- but for a spectacular center- this ring is well worth the price. 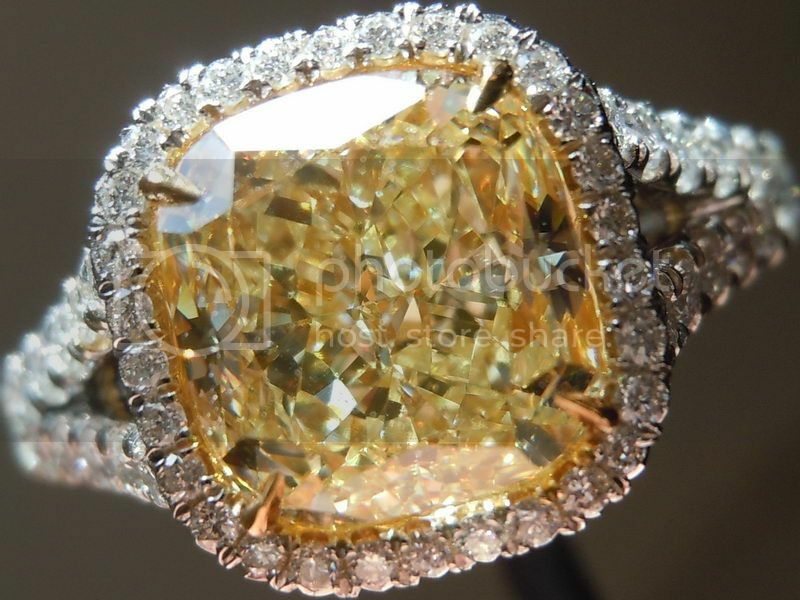 Buyers of DBL center stones enjoy special incentive pricing- Please make sure to enquire about this when you order. 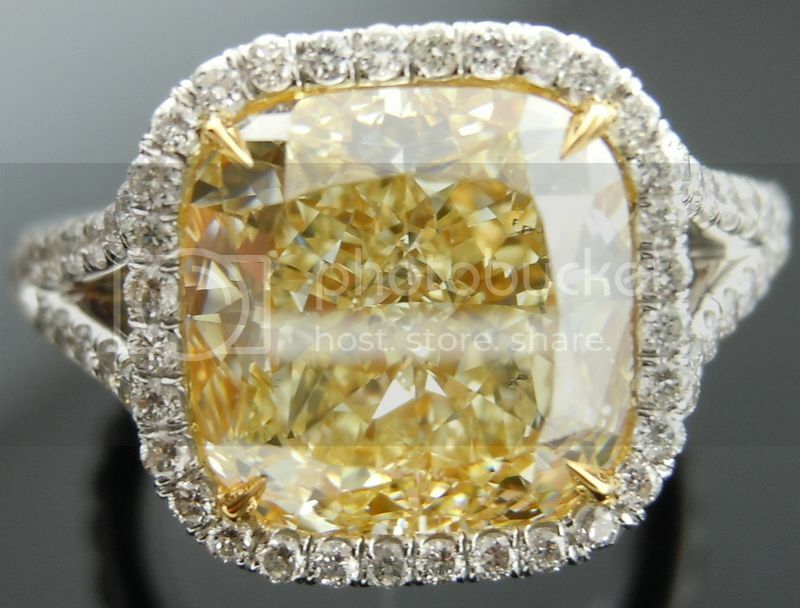 As shown with a 4.62 Fancy Light Yellow SI1 Cushion Cut Diamond (not included in the price of the listing). 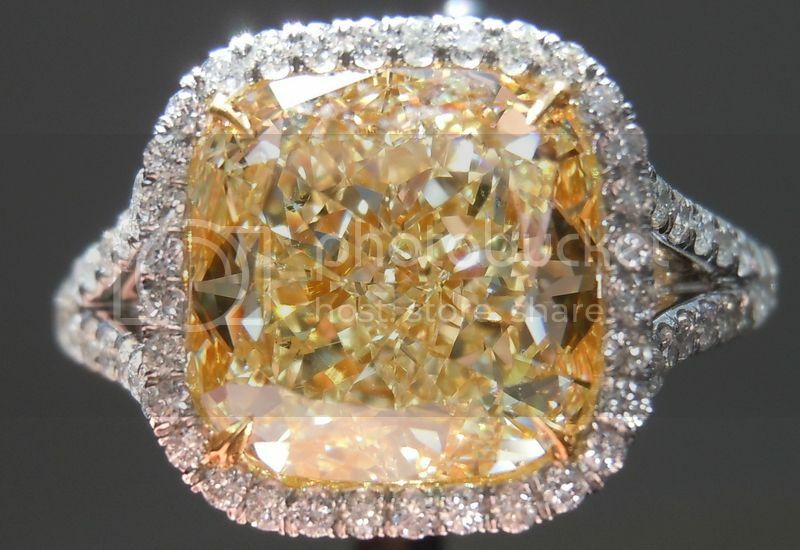 On this particular example, the setting has 68 E-F VS round brilliant diamonds for a total weight of .76cts and 30 Fancy Intense Yellow round brilliant diamonds for a total weight of .08cts. The idea was a new style in halo- bold split shank. Immaculate attention to detail. 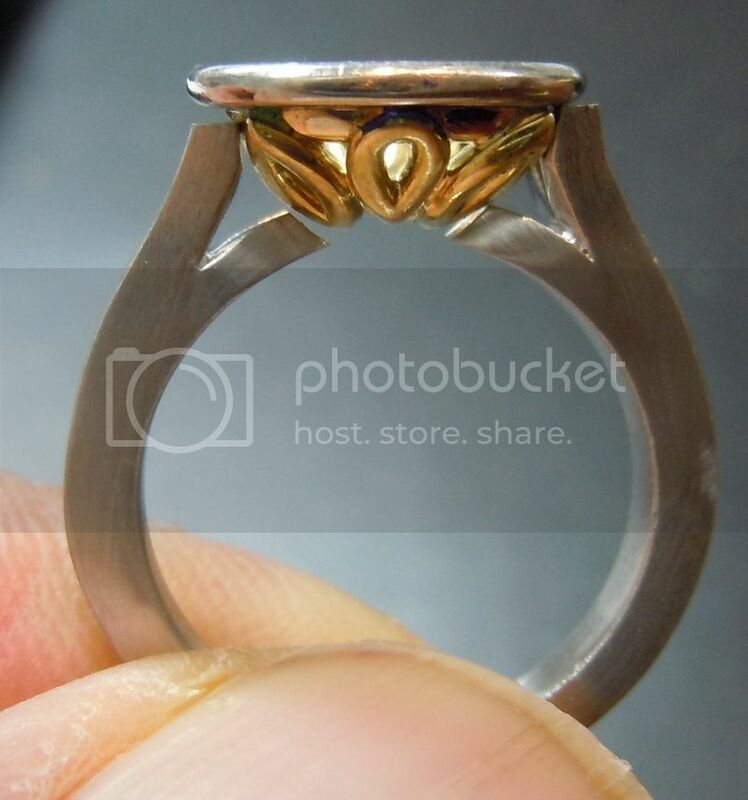 Unique floral design beneath the center stone. 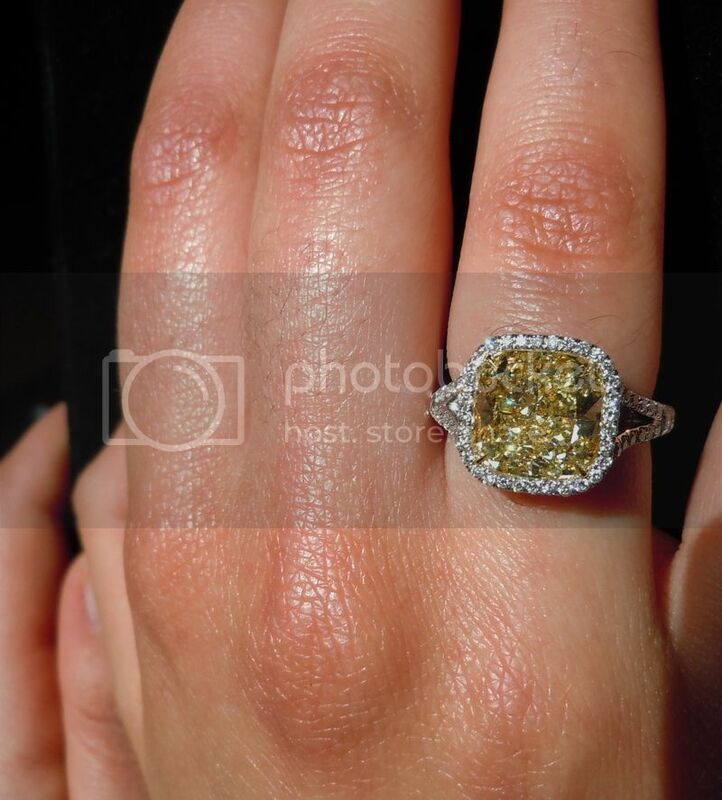 We can also make the ring sans the natural yellow micro-pave giving you a smooth yellow gold bottom. 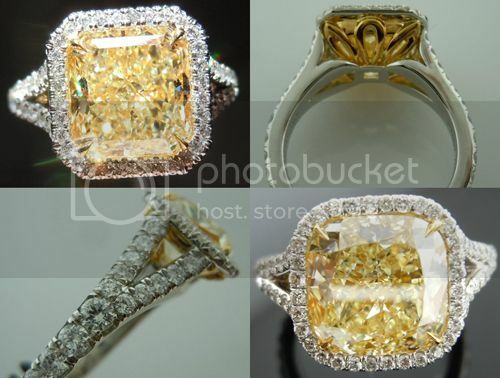 As shown above with a 3.65 W-X, Natural Light Yellow VS1 Radiant Cut Diamond (not included in the price of the listing). 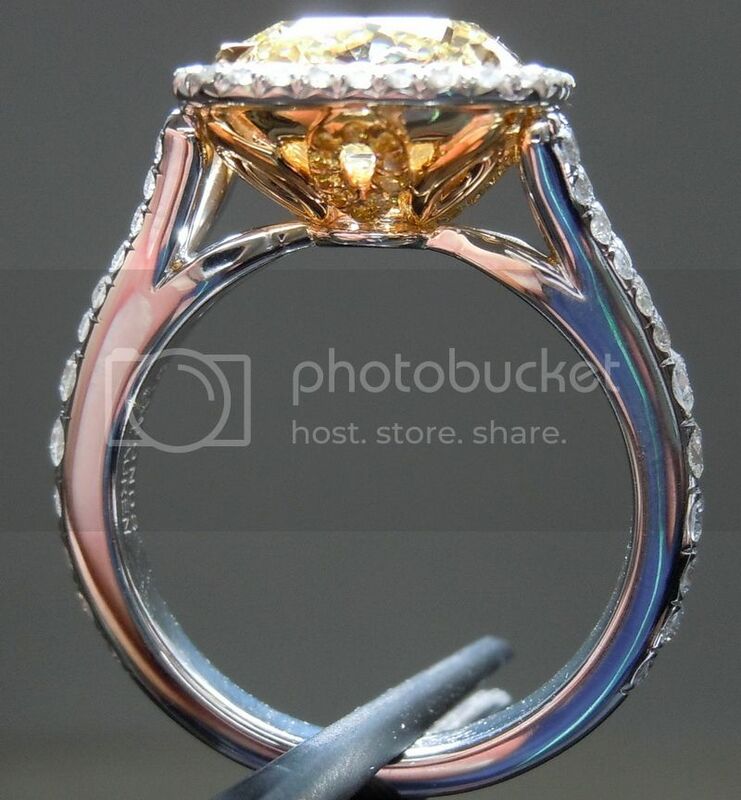 On this particular example, the setting has 66 E-F VS round brilliant diamonds for a total weight of .59cts. 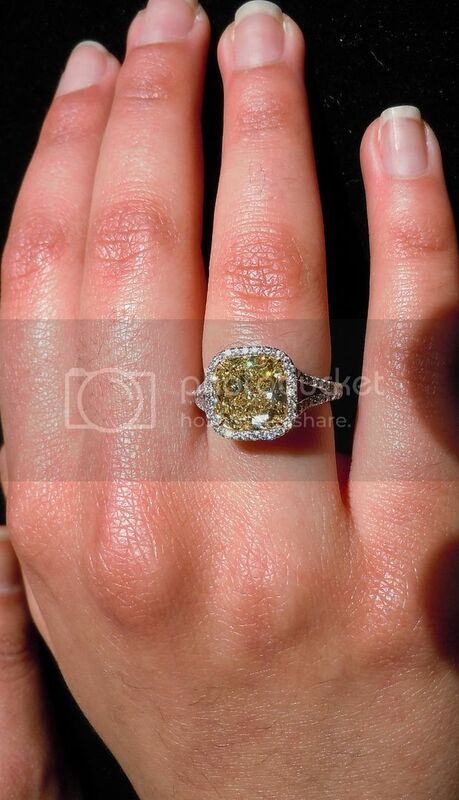 Below, as shown with a 2.68ct Fancy Light VVS2 Cushion Cut Diamond (not included in the price of the listing). 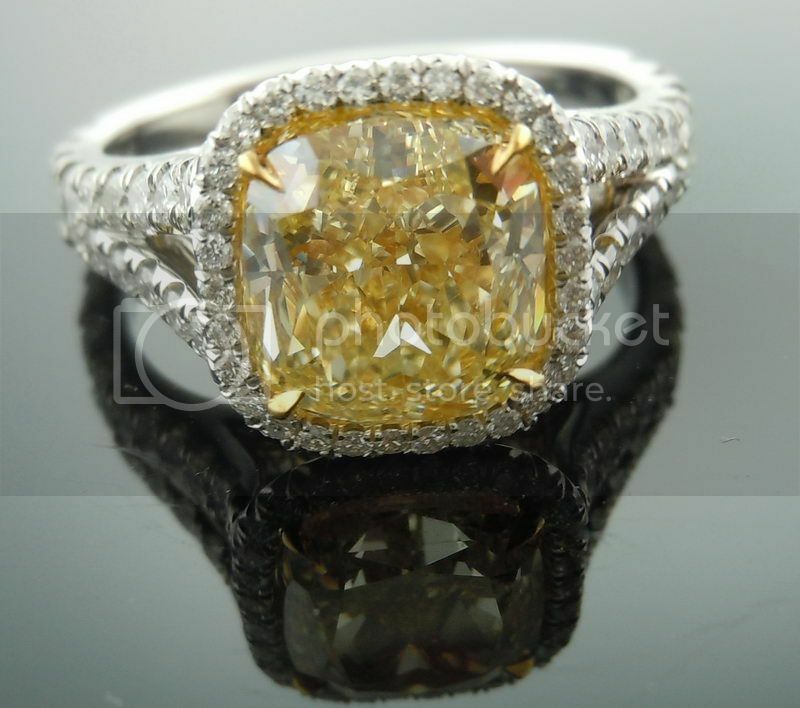 On this particular example, the setting has 58 E-F VS round brilliant diamonds for a total weight of .75cts and 16 Fancy Intense Yellow round brilliant diamonds for a total weight of .04cts. 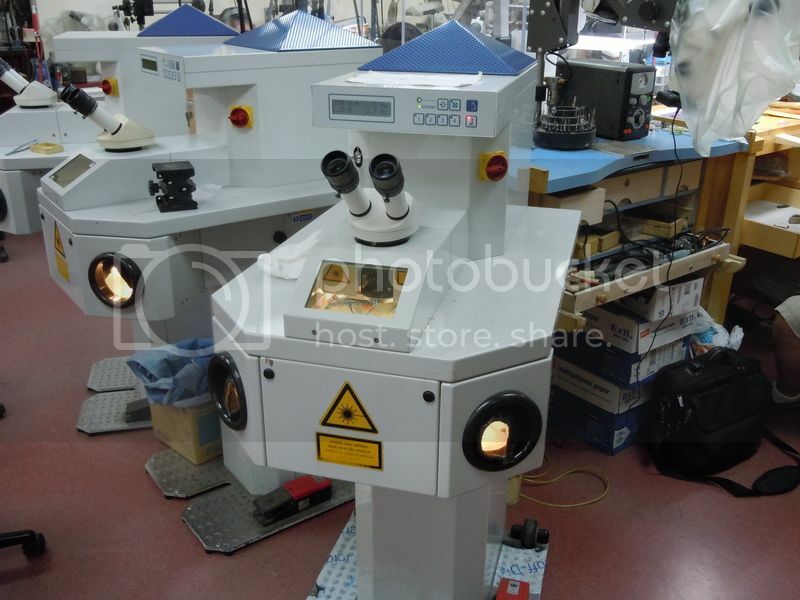 The photos above are ACTUAL Photos and Videos of rings we have manufactured.